No matter what your day holds, whether it’s running errands, raking leaves, dog walking or glamping with friends and family, you are going to want to wear Gone Glamping to top it all off! 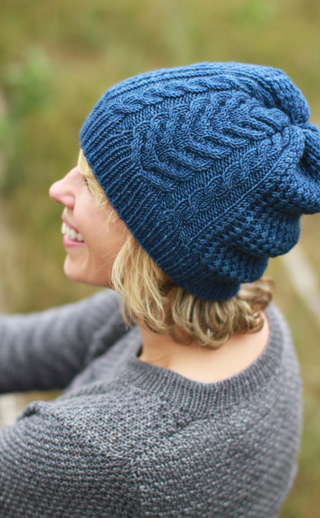 Knit in your favorite Plucky worsted weight, this hat is terrific fun to knit with its lace body and cable section. This is a great introduction to cabling, with row-by-row written instructions, as well as charts. Change the base, change the color, you will want to knit this one again and again!